25: IN THE BEGINNING WAS THE WORD. 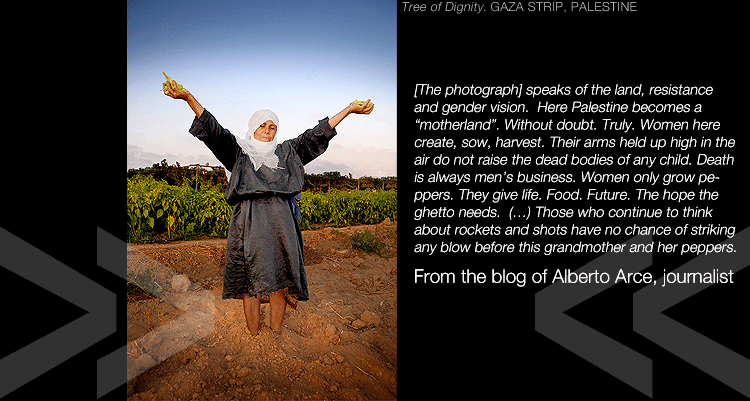 GAZA STRIP: view the project (to read the accompanying texts, click on each image). Or: Follow this link to read the project in pdf format. This is the conclusion of the project started out in Israel and the West Bank. Produced by the International Catalan Institute for Peace (ICIP). View the exhibition Barefoot Words: Women Peacemakers (Paraules Descalces: Dones fent Pau) produced by the ICIP.